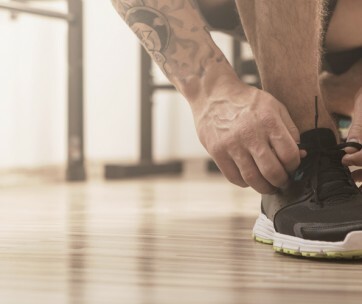 Did you know that in a high-intensity activity like boxing, the shoes you opt for may impact your performance? Some may even say that they are the most important piece in your boxing gear and as such, you need to be sure that you are equipped with the right pair. With so many products on the market, you can easily get confused when it comes to getting the best boxing shoes, and for that reason, these boxing shoe reviews can make the choice a lot easier. 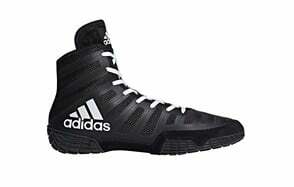 Since the inception of the brand, Adidas has been known for putting out quality footwear for different purposes altogether, and this first pair of shoes on our list from Adidas is a two-piece mesh wrestling shoe that is sure to help stabilize you through any vigorous sport. The Adidas Men’s Adizero Wrestling XIV-M has been constructed from a 100% synthetic textile with an upper area carved from an extremely breathable, single-layer mesh. It has been engineered in such a way that it is not only sturdy but also very comfortable helping this boxer shoe to fit just like a sock and provide you with top-notch efficiency all-around. Any boxer or wrestler who takes a closer look at this pair of Adidas shoes can easily tell that it is meant for an aggressive and high energy user who is always pushing forward; all this and more can be seen in the way the molded rubber teeth align. Another aspect that makes it quite suitable for the sport as a whole is the midsole which is equipped with a slight wedge shape that will help keep your weight mostly over your toes. But the most likely overlooked attribute of this stellar pair of shoes is the allowance made for a lace pocket at the top of the tongue; as a result of this, you have the option of tying your laces then tucking them away without having to go through the hassle of taping them. 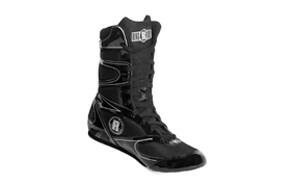 All in all, this is an efficient piece of boxing shoes that every boxer should have in their itinerary. Did you know that the type and quality of shoes you wear can altogether affect the outcome of your boxing as a whole? It doesn’t matter how much you train, the right equipment could give you the edge you need. As such, it’s best to opt for a reliable product and some may say that the best route to take is with sticking to well-known brands. Since 1988, Otomix has been delivering stellar products in the form of performance workout shoes solely meant for specialized extreme sports. They have come up with top-notch designs that are both original and authentic and have been successfully creating shoes long before it was popular for bodybuilders to put on big bright and baggy workout pants. 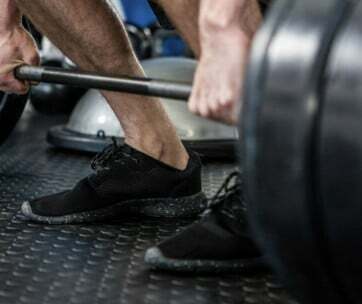 When it comes to the Otomix Men’s Ninja Warrior Bodybuilding Boxing Weightlifting MMA Shoes itself, they are the latest addition to the Otomix family and offers some new and exciting features. Its predecessor is none other than the Stingray and one of the most distinctive features of this new design is its slightly wider toe box for those who require a little more wiggle room for their toes. These smart pair of boxing shoes can be used for a range of contact sports such as boxing, Taekwondo, Karate, CrossFit training and a whole lot more. They come in colors ranging from a combination of black and white to yellow and white for some extra swag. The makers of these shoes are groundbreakers when it comes to manufacturing boxing shoes and as such, you can be sure that they know exactly what they are doing. Don’t sweat as your feet are in great hands. Make sure you also check our guide to the best boxing gloves. If there were ever shoes that were designed to be worn solely inside the ring, especially during training, then these next boxing shoes are the exact pair. They will make your boxing footwork not only look great but will surely intimidate your opponent. The Ringside Undefeated Boxing Shoes are the embodiment of the word ‘Undefeated’ seeing as they are the perfect blend of style and substance. Whether you are a beginner or have been boxing for years, these shoes will give you all you need not just on your level, but the highest you can attain with your skillset. So, what exactly makes them so great? First, these ringside shoes offer you the right amount of grip so as to prevent you from slipping in the process of following through with your punches. This, on its own, is a very important aspect of shoes used for high impact sports and in turn, gives you more power and a better technique. Another winning characteristic of this stellar pair of shoes is its breathable nylon mesh pattern that adds to the general comfort you feel when you slip into them. To crown it all up, it has a patent leather vinyl finish and offers a high-top ankle that offers all the additional support users need while dancing around the ring. What’s more, the fact that this boxing shoe is extremely lightweight helps to reduce the fatigue you feel from the vigors of prancing around the ring. The main cherry on the top is that this shoe is not only meant for use within the ring but can also be worn outside and have it work perfectly fine. Once again, Adidas is here delivering footwear on an elevated level altogether; you cannot discredit them on that front as we all know that the Adidas Men’s Combat Speed.5 will definitely offer up options that every athlete should look for in a pair of boxing shoes. If being one of the best boxers out there is your aim, then you can be sure that this pair of shoes will get you there and beyond. Its lightweight and close fitting nature provide practically a sock-like fit that will offer all the stability needed to push through and last as long as you can when in the ring. There are also lace-up closures which add all together to the secure fitting of this shoe and it also features a breathable single-layer mesh upper which is quite advantageous; seeing as it helps you to feel the mat a lot better so you can focus on winning your match. Another winning aspect is its internal, die-cut EVA midsole and its split-suede leather outsole overlays which provide the perfect amount of grip needed so as to avoid any slipping or injury during an already volatile sport. What’s even better is that these shoes have been designed with what could be considered as flexible TPU 3- stripes as well as a well-integrated side pan. Our handy guide to the best mouthguards features more great products like this. It is not only in boxing that you perform at your best when you are well-grounded, but this also applies to a number of things that involve you being on your feet. All in all, if a fighter does not have the right shoes, this could altogether be his or her downfall in and out of the ring. The Reebok Men’s Boxing Boot-Buck Sneaker is sure to give you all the stability you need and more. After all, these are the same pairs used by the famous boxer Floyd Mayweather, so it is a no brainer!! Stability is something that is highly desired when it comes to boxing and these shoes provide a whole lot of it – even more than what you would get with a good pair of running shoes. The soles also allow for the desired grip that is needed for more control on all surfaces and as boxing involves a whole lot of pivoting, the soles provide that extra protection to guard against sore feet. For those who are into any sports that generally involve throwing kicks, the fact that they are balanced and lightweight goes a long way in ensuring that you deliver kicks using the best form possible. Altogether, you will enjoy the benefits of using this top-notch product and best believe that this boxing shoe price, albeit on the more expensive side, is completely worth it. Becoming a highly skilled boxer is not a feat that is attained overnight; you have to put your back into it during training sessions and actual fights. For this reason, it is quite important to train in the same shoes that you actually fight in – this way, it all feels familiar. The Title Speed-Flex Encore Mid Boxing Shoes are one of the best boxing shoes have been built for versatility and will do wonders for your footwork altogether whilst offering up on all the speed and agility needed to deliver the right moves peculiar to your line of sport. Whether you are training or actually at it in the ring, you can rest assured that this pair of shoes will perform optimally with its snug fit on your feet. They are unlikely to come off no matter how sticky the situation may be and as an extension of this, the ankles are kept quite secure and have been designed to be responsive in the case that you need to make a turn or pivot. Although a common complaint about these types of boxing shoes is that they are mostly made for narrow feet, this particular pair can accommodate broader feet quite comfortably. It does not hurt that this is an aesthetically pleasing pair of shoes with embroidery that can complement any style. Additionally, the full synthetic leather upper is fitted with a tight weave nylon fill that sits on top of a polyurethane sole. These soles are altogether designed mainly for boxing and as such, if you are in the market for your next pair of boxing shoes, this is a top-notch choice. So, why don’t you choose a product that is top of the line so you can get the most out of it? Find more great products like this by checking out our guide to the best punching bags. Your boxing shoes should give you all the adequate support you need to power through a fight; from the soles of your feet to your ankles, you truly need a pair of shoes that can pull you through the whole the process. With the Rival Boxing Boots-RSX One-High Tops, the overall design is there to ensure that you have all the support you need to get through a fight and also remain the last man standing. The high-top profile of this boxing shoe provides maximum support for all users as it practically cradles the foot throughout. All from the standpoint of fit to support, you can be sure that you are getting a top-notch pair of shoes. The material used for its construction is of high quality; the upper part comprises of a fully ventilated mesh and cowhide suede as well as a breathable mesh sock liner which will help to provide your feet the maximum airflow that is needed. So, rest assured that your feet will definitely be cooled from every side. The insole of these boots is another standout aspect seeing as most boxing shoes do not offer any insoles or supportive padding for the elevation of your feet. On this front, most people have to improvise and provide the padding themselves. Not only does this make your feet quite comfortable, but it also provides users with shock absorption while moving. You can rest assured that this is altogether a high-quality product; the technology behind pieces of it such as the insole as well as the general design are testaments to the quality of this product as a whole. It just goes to show that this brand is not just about turning a profit, they care about the wellbeing of your feet when both in the ring and out. Don’t forget t also check our guide to the best CrossFit shoes. If a pair of comfortable shoes is what you’re after, the Everlast New Elite High-Top Boxing Shoes may be just what the doctor ordered. This lightweight boxing shoe is created with the understanding that footwork is a vital part of boxing as a whole. 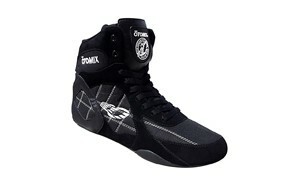 But despite being comfortable, you also need to get the best boxing shoes your pocket will allow. This particular pair is constructed with a high-quality Michelin Technical Sole, an open weave mesh as well as a microfiber and suede body that helps to hone the speed and promote durability that any user would want from their pair of boxing shoes. A stand out quality of this particular product is the fact that it is easy to put on and take off which is common for shoes like this. As such, it is commendable that there is a brand out there that listened. The mesh upper area of this shoe in collaboration with the rubber outsole helps to ensure that you are steady on your feet without affecting your all-around mobility. This among other facts show that this product is bent on doing all it can to help you secure the upper hand in and out of the ring. It will enhance your speed, mobility as well as your stability and ultimately that is what every boxer wants out of their fighting shoes. Our selection of the best weightlifting shoes may also be of your interest so check it out. In the past, most boxers went into the ring barefoot; they pranced and delivered their twists and turns without caring much for the effect on their feet. It is needless to say that it wreaked a whole lot of havoc, that’s why it’s great to live in a time where contact sports are not only solely concerned with what the audience gets to see but also the wellbeing of the athletes who take out the time out for the benefit of others. What’s even more reassuring is that there are boots out there like the Lonsdale Mens Contender Boxing BootsFull Lace up Shoes that help boxers function more effectively whilst keeping their general wellbeing as the priority. So, what makes these the boxing shoes to die for? For one, this product can ultimately make its user stand out in the ring and for the right reasons with its stylish quilted and padded ankle collars that engulf the feet in a secure fit. This altogether helps to enhance smooth movement. By the looks of it, we know that boxing is a high-intensity sport, and as much as the feet need to be protected, they also need to breathe. For this reason, there are mesh panels present on the shoes but the crowning quality here is the specific EVA midsole that works hand in hand with overlays to ensure that this product lasts as long as can be. It is evident that there are so many options out there, but if you want to go for one of the best boxing shoes, this is also a viable choice. In this day and age, it goes without saying that you will find a wide range of products on the market. Although some of us have all the luck when it comes to winging it, most of us don’t. This is definitely not one of the cases that should be winged, apart from the fact that these shoes have the ability to make or break a boxer in the ring, most of them are quite pricey. So, save your money and your face by following some tried and tested pointers that are sure to lead you to the best boxing shoes out there. Brand - Brands foster trust, they foster reliability and they all together make it easier to tell which products are going to live up to their potential and which ones are just not tried and tested yet. When it comes to a contact sport like boxing, all your equipment needs to be ready to take all the use and abuse without totally falling apart. So, when in the market for a pair of boxing shoes, experimenting may not be the best route especially since these shoes do not come cheap. Go for what you know already works such as brand names that are already well-known for providing athletes with the kind of shoes that do not only carry them in the ring but also last outside the ring. Reviews - It is no secret that manufacturers and distributors alike are all looking to turn a profit and for this reason, you will hardly see them talk about the shortcomings of their products. Thank heavens for how accessible all sorts of information are in this day and age; all you have to do to get the actual lowdown on the quality of a product is to look at the reviews. Best believe that the good, the bad and the ugly information about any given product is readily available for all to see. So, if you are having last minute jitters about copping out all that money on a pair of boxing shoes, simply look through the reviews and you will be sure to find information that could either change your mind or reinforce your decision. Refrain from shopping blindly. Quality - Boxing is not a sport for the dainty or faint of heart, it involves bursts of energy, tricky moves and it is quite repetitive. Any piece of equipment that you purchase to use in or even out of the ring should be able to withstand the constant pressure that comes with the game. When it comes to boxing shoes, they are quite high up on the list of things that could tip a game in your favor. You could have all the techniques down, but without shoes that can deliver on all levels, you could easily go down in the blink of an eye. So, it is paramount that you opt for the best quality your money can buy, that way you do not encounter any unpleasant surprises when you least expect it. Material - The parts of a boxing shoe are quite complicated to the layman, but altogether different parts are made of different materials and there is a basic formula to the layout. What you want in your pair of boxing shoes is for the upper area to be made out of a mix of either leather, suede and synthetic material. These materials vary nevertheless, so check if they are breathable for the comfort of your feet. Additionally, this will guard against any sweat that could cause you to slip during the course of the match. 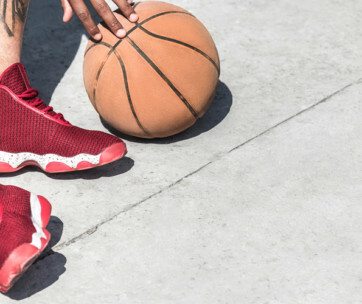 The sole of the shoe should be rubber because it is light and offers you the versatility you need during the game. Grip - From the ankle all the way to the sole of your feet you need a shoe that has a good grip on you. This is solely for your safety and mobility. When it feels like the shoes are practically one with your feet you will be able to deliver the fluid movements that are required in boxing. Also, slipping during a game or even while sparring could not only cost you the victory, but may also cause long term harm. For this reason, you need to opt for a shoe that holds tight enough to prevent slipping. Strap - Not all boxing shoes come with straps, nevertheless, this addition can be the one thing that makes your footwork superior to that of your opponent. In general, straps help to join your shoe with your ankle and foot and as such, it offers you the stability needed to power through. This next increases the level of comfort felt each time the shoes are used. Laces - In general, we know that laces are a very important part of a shoe altogether. They affect the fit and stability when put on. Laces in boxing shoes have an even higher calling and if they are not tied properly, could compromise your whole game. Don’t assume that tieing boxing are on par with tieing a pair of shoes. Rather, get conversant with the right methods involved and stick to them religiously so as to reach your maximum potential when out in the ring. Fit - In this sport, you just need to get the right fit or else the shoe is practically useless. Get conversant with sizing charts as they pertain to boxing shoes and figure out where your shoe size lands you. Most boxing shoes out there fit like any other athletic shoe, nevertheless, there are always exceptions. Some may be quite narrow, so be sure to not only read the sizing guide but the reviews. In the case that you are a female fighter looking to order men’s sizes, opt to 1 to 1.5 sizes smaller. Ankle Support - The importance of this cannot be hammered on enough due to the fact that boxing is very demanding on the ankles. All the pivoting involved in most of the moves could leave you with a horrible ankle injury or sprain. As such, you need to look for a design that has your ankle securely tucked away while still giving you the room for optimum mobility.